​Having the right kind of staple gun for stapling off stucco wire can make all the difference in the world and if you are on projects that get inspected by county officials, then these are mandatory, not optional. ​How Long Should My Staples Be? 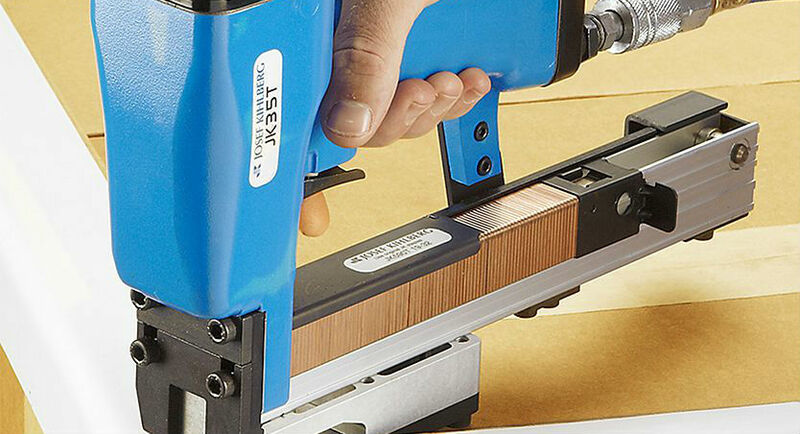 ​What Is The Difference Between Staple Guns? ​Can I Use Any Type Of Staples? 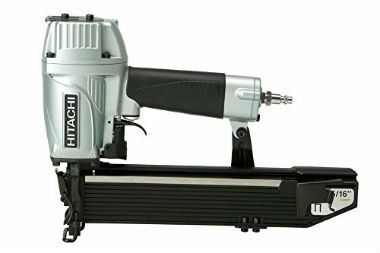 ​The Hitachi N5024A2 1" Wide Crown Stapler is one of my favorites and it works fantastic for stapling off stucco wire. 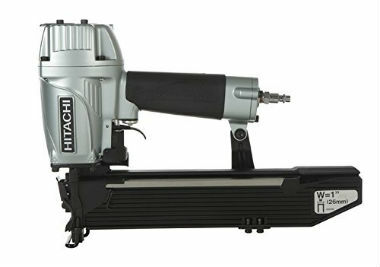 It is lightweight and has Hitachi's famous quality, like all of their air tools. ​I would recommend using Hitachi staples for this gun, to avoid any potential jamming or malfunctioning issues down the road. ​This Hitachi staple gun is one of the most reasonably priced models in the lineup and has some of the best reviews on top of that. All in all, this is a great stapler that will give you years of service if you take care of it and is one of the most affordable ​lathing staplers out there. ​This is another Hitachi stapler (Hitachi N5021A 15/16" Wide Crown Stapler) and is pretty much the same as the 1" crown stapler but uses 15/16" crown staples instead. This sprayer offers a good balance between price and functionality and is why I think it should be at the top of the list. 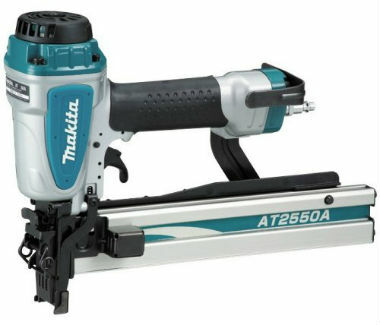 ​The Makita AT2550A 1-inch Wide Crown Stapler is a stapler that I have looked at before and is a tool that is worthy for tackling stucco lath. ​This Makita stapler has a couple of features that the other models don't have like a filter that is built in to the gun, which keeps it cleaner, longer and a hook on the base of the handle, where you can hook it when not in use. These are small things but very useful and overlooked by other manufacturers. ​Since it is a Makita tool, you can expect a 3 year warranty and a tough and effective tool, like all of the Makita tools. This model came in under the $300 mark, which is pretty typical and lands in the "average" compared to the other guns. I have used a lot of their tools and don't ever hesitate to buy any of them, they are always improving and making better and better tools. 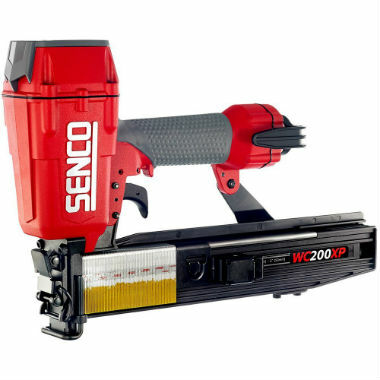 ​The Senco WC200XP is yet another stapler that is one of "the legends" as far as stucco lathers are concerned and it has been one of the go to manufacturers for many decades now. ​There are not a whole lot of reviews to look at or go through, so it is hard to get a good idea of what this Senco Stapler can do and how well it performs but I have had many of these myself, over the years and they are tough! ​This is on the higher end of the pricing spectrum, coming in at around $350 on most places and is an upgraded version of the Senco WC150XP. The warranty is one of the strongest, when compared to the other staplers (5 years) and is designed to require less maintenance overall. 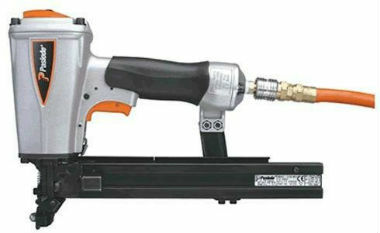 ​The PasLode 501265 Wide Crown Stapler is another great option and another "legend" in the stucco world. These last so long and are one of the best types of staplers money can buy. Paslode claims that they test this gun and it can successfully perform over 600,000 cycles (fire that many staples) which would last many years and even decade for some people. ​This Paslode stapler was a little higher than average, as far as pricing is concerned, coming in at around the three hundred dollar mark. One of the downside to this stapler is the warranty, which is much less than other manufacturers but regardless, these are tough guns, don't be turned off by that! ​The BOSTITCH 450S2-1 wide crown stapler is made specifically for lathing. It was designed and produced for one specific purpose and works very well. ​This has a much different design than all of the other models, as you can see and a lot of people who have owned these have one main thing in common when they describe it and that is how reliable they are. ​This stapler was the most expensive, around $400 at the time and comes with the best warranty too, a 7 year warranty by Bostitch. ​Typically, the standard calls for either 15/16 of an inch crown staples or a 1 inch crown staple for stapling off stucco wire during the ​lathing process. it is important to note that the to staples, even though they are very close in size are not interchangeable and will not work for a staple gun that is not made to shoot the specified crown size. ​There are a couple of different lengths of staples you could use depending on whether you are stapling off wire for a three ​coat stucco system or a one coat stucco system. I want to keep it simple and give you two different sizes so it will be much easier to remember. 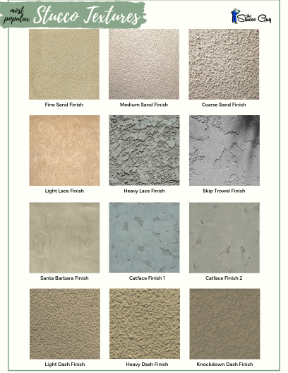 Three Coat Stucco System: For a three coat stucco system you will want to use ​1.25" long staples or ​1.5" long staples, whatever is easier to find. I typically try to avoid any staples that are longer than inch and a half because they tend to bend when shooting them into the wall or you will have to use a hammer to pound them in flush because they will not shoot into the substrate all the way. One Coat Stucco System: For a 1 coat stucco system I would recommend using staples ​that are 2" long. ​Two inch staples are pretty easy to find and happen to be the perfect length to go through one-inch thick Styrofoam, shear (if used) and into a stud. ​Helpful Tip: ​Staples can be found pretty easily at most specialty stores but finding them at a bigger box stores may be difficult so I recommend buying them online. The prices are very similar or usually better than what I can get them for at a specialty supply store anyways so the convenience makes it worth it. 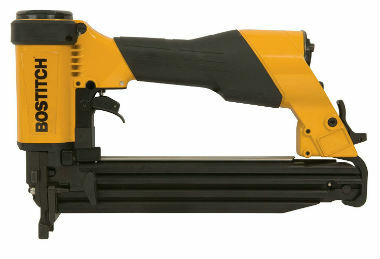 ​There are not really any major differences between different stucco staple guns besides price, warranty and specs. All of the ​lathing staple guns listed above will do the job just fine without any major problems. If you are particular to a certain brand or have had good experience with one manufacturer over another then you may just prefer to use them. Other than that there is absolutely no difference, in my opinion. ​You can usually is just about any type of staple, as long as the crown is the correct size. I have used three or four different manufacturers on a number of different kinds and they all seem to work pretty well with minimal problems. There is a possibility that some Staples will not fire through certain types of guns even if the crown size is the correct size. To avoid potential problems I would recommend going with a staple made by the same manufacturer as your staple gun. The last thing I want to do is tell you that all of them are interchangeable and you will never have problems so just to be safe, use recommended fasteners with your gun.